Istanbul is the most populous city in Turkey and the country’s economic, cultural, and historic center. However isn’t the capital of Turkey, the city is one of the most visited cities in Europe, just 2h by plane from Rome. This city was my point-start of my Turkish travel, a trip that I consider the most beautiful journey of my life. Its commercial and historical center lies on the side of the Asian side. Istanbul is a transcontinental city in Eurasia, straddling the Bosphorus Strait (which separates Europe and Asia). 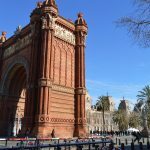 First of all, you think well where to change the currency, I starting in Barcelona I chose La Caixa Bank, it was not the best exchange. To the old city of Istanbul (Sultanahmet) you can use the M1A metro (red, every 6 minutes) and the T1 tram (blue, every 5 to 10 minutes). When you arrive at Istanbul Atatürk Airport you must follow the signs of the Metro / Light Rail in order to reach the metro station ‘Atatürk Havalimanı’. You need a ticket for the metro, these tickets (Jeton tokens) are for sale on Jetonmatik machines. It is only possible to buy a ticket with coins and bills (5, 10 and 20 TL). Each ticket costs 4 TL and you can use the metro station. With the M1A metro, you can also go to the main bus station in Istanbul (Otogar), the journey time is 20 minutes. For more information visit, Metro Istanbul website. You can use the Havabüs shuttle service, they take you in about 40 minutes to Taksim. Taksim bus stop is 500 meters from Taksim Square, close to Hotel Point. Every half hour between 04.00 and 01.00 to bus passes in both directions, prices are available in the table below. Prices One trip round trip: Adults 12 TL 24 TL / Children 12 TL 24 TL. A taxi ride to Sultanahmet costs 55 TL and up to Taksim about 65 TL. In Istanbul the make up the same for any time of the day, make sure the taximeter starts counting once you get in the taxi. Organize in advance an inexpensive taxi tour through TaxiTender, book your taxi in Istanbul Atatürk Airport. If you want to travel to Istanbul, this card will be for sale and you can recharge it with money. With an Istanbulkart the route from the airport to Sultanahmet, Eminönü, Karakoy or Kabatas will leave you for only 3.95 TL. Taxis are not expensive but I suggest you get it only by night, during the day there is a lot of traffic. Taksim is known by the city center but is not so close to the city center and for 3/4 days is not the best. I choose to stay in the Fatih area, close to the tram station. My hotel was the Old City Time Hotel, € 270/ 3 nights, amazing breakfast (the best in my life), no traffic noise. 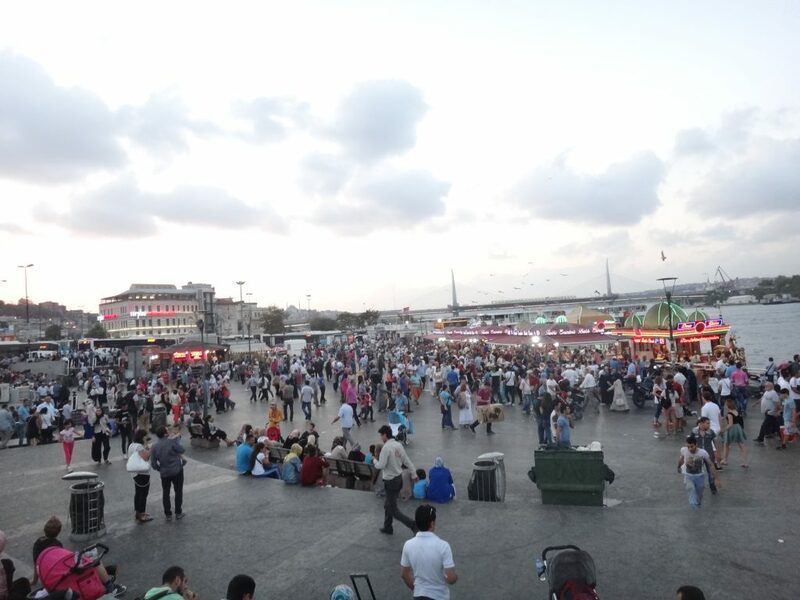 Istanbul is a very international city, in fact, you can find every kind of cuisine, there are many people all over the world that lives in this city. Check on Tripadvisor for the best places but I can recommend some places. 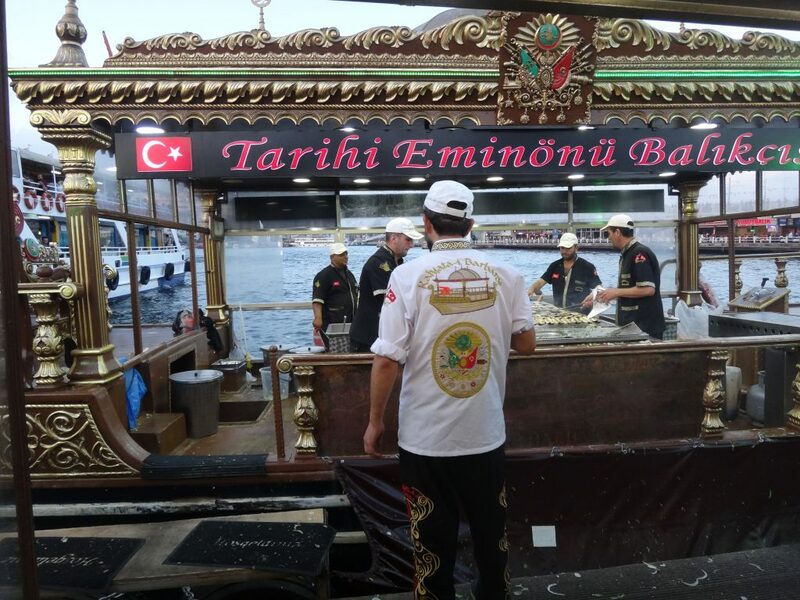 For example in Eminönü port there are a lot of boats which sells typical whitefish sandwich with onions, it was very good. 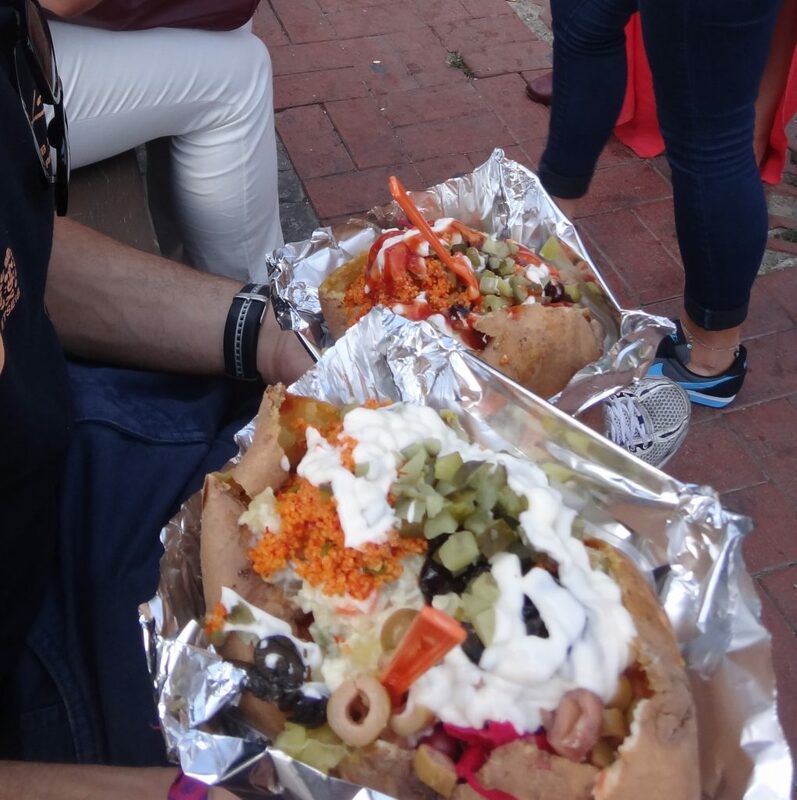 Ortakoy area, in the neighborhood Besiktas, offers on his market boiled potatoes with a lot of topping, so delicious. If you love tea and terraces the Galata Konak Cafe is really beautiful, you can see the famous tower and the city on the east side. 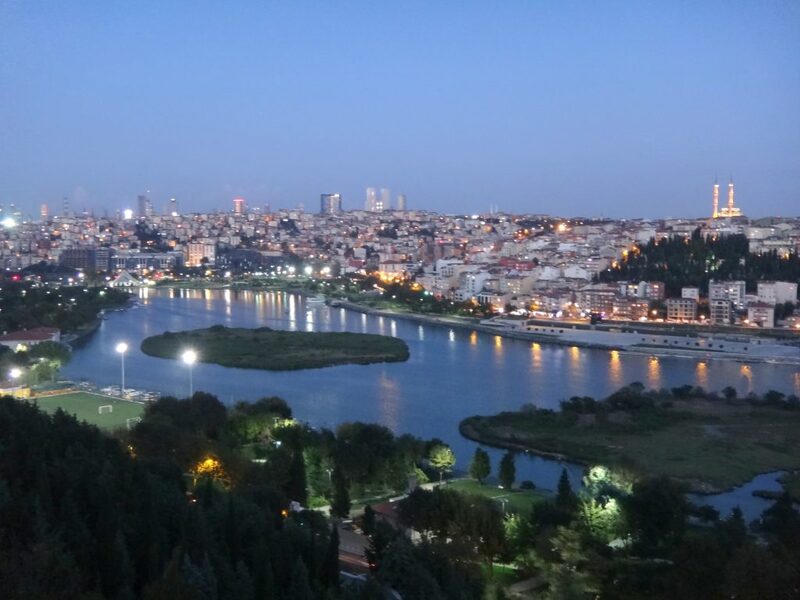 Another place is Pierre Loti café, in the Eyup neighborhood, famous for the incredible view of the city. You can reach this place with Eyup Teleferik, it’s open by night too. Now it’s time to discover the city. Are you ready? 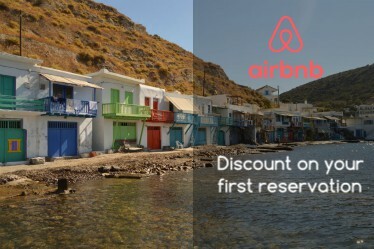 Or maybe are you planning to visit the rest of the country?